Our beach house was very comfortable and clean and the resort amenities were great. We had a really lovely stay at Woodgate Beach. Our spacious accommodation had everything that we needed and the staff were friendly and very helpful. Quiet little seaside town with beautiful beach. We loved having your wonderful family stay with us! 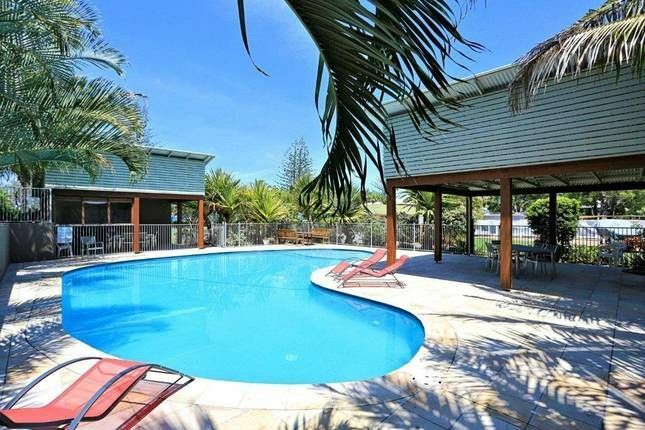 Lovely spot so close to beach, nice pool and kangaroos. The lady at reception was so very lovely too. I'm so happy you enjoyed your stay. If you have time to leave a review on Trip advisor that would be fabulous. It helps other travellers make the decision to stay! Modern accommodation, short walk to the beach. Perfect for a quiet Getaway. Would recommend this place. Andrew thanks for your kind review. Know you had a relaxing time and trust we will see you again. Nice quiet property, perfect for a small getaway. Clean and comfortable accommodation will definitely stay back here. The units were spotlessly clean and very well equipped. There are two pools, which had aerobics classes weekly. The grounds were very well maintained and although the private outside space was small it was adequate. The site is is close to the beach, walking distance to village amenities. Comfortable spacious accommodation. Dining chairs were not very comfortable though and they could do with more kitchen utensils.